Victoria Loustalot's new lifestyle guide for Audrey Hepburn fans is a pleasant compilation of photos, quotes, biography and insights into the life of the beloved actress. While there is not much new here for fans of the Oscar-winning actress, there is some interesting analysis and appreciation of her most admirable traits. It's a lovely turquoise-hued volume, and while the book has an appealing look, I found it difficult to navigate. Every few pages the text is broken up by block quotes and multiple pages of images. While these are enjoyable and will likely draw many fans, it turns reading the text into a sort of dance, where you get to the unfinished sentence at the bottom of the page and have to decide whether to flip forward a few pages to finish the thought or hope you can remember where you left off after admiring a photo or two and reading a quote. Ending pages before photos and quotes with completed sentences would have done much to improve the design. Photos are presented full page at a minimum, with some spilling partly over to the adjacent page. I recognized many from movie stills and magazines in this attractive collection. The quotes about Hepburn are also familiar; I recognized many from the 1997 A&E Biography special Audrey Hepburn: The Fairest Lady (I am pretty sure I have that program memorized. I actually heard the voice of Richard Dreyfuss in my head praising Audrey exactly as he did in his interview). In this respect, the book was in many ways a pleasant repackaging of familiar material. 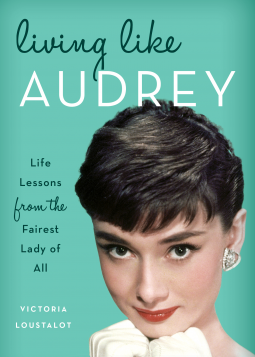 What I found most interesting about Living Like Audrey was Loustalot's thorough examination of Hepburn's greatest qualities. While classic movie fans are familiar with the kind, gentle and giving aspects of the actresses' personality, she is not as often celebrated for her wit and wisdom. Here I found a satisfying tribute to her sense of humor, and the dark wit behind it. 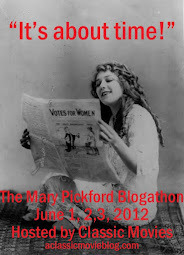 Hepburn is also given credit for the profound way she spoke about humanity. When she told an interviewer speaking to her about her work with UNICEF that she didn't "believe in collective guilt, but I do believe in collective responsibility," in one non-judgmental, but emphatic statement she demonstrated strength, intelligence and a firm call to action. This is the best of Audrey. Instead of letting the starvation and fear she suffered in occupied Belgium during World War II make her cynical, she became a steely fighter for the vulnerable. Loustalot nicely emphasizes this side of the actress and her activism. Living Like Audrey isn't required reading for Audrey fans, but it offers many delights and interesting insights. Many thanks to Rowman & Littlefield for providing access to the book for review.